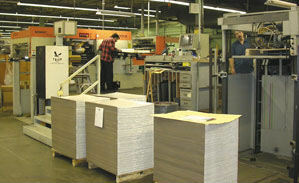 We are your one stop source for Prepress supplies serving the Canadian market for the past 15 years. Clear Vinyl Litho Tapes -½", ¾", 1"
3M Red Ruby Lithographer's Tape 616- 1/4", 1/2". 1"
White Artist Tapes- ½", ¾". 1". 1½", 2"
Glassine Bags- 12-1/2" x 14", 14-1/2" x 18", 18" x 24", 22" x 24"